Canadians are obsessed with their credit scores. When it comes to thinking about their finances, that three-digit metric preoccupies many households across the country, particularly younger individuals and families who’ve binged on consumer debt and driven household borrowing levels to record highs. Having a solid and rising credit score still means you’re on safe ground, right? The higher the number the better, right? Right? As more and more people are sadly discovering, however, it doesn’t work like that. Having a credit score even as high as 792 is no guarantee that you won’t end up sitting in the office of a trustee faced with the prospect of insolvency. It’s not at all uncommon. That’s because the system isn’t designed to do what you’d like it to. I’ve been in the consumer insolvency business for a decade now, and met with more than 5,000 clients over that time. And until the last three or so years, I have never seen so many people fixated on their credit scores when trying to determine where their personal finances went so wrong. It’s never been easier to get your credit score. 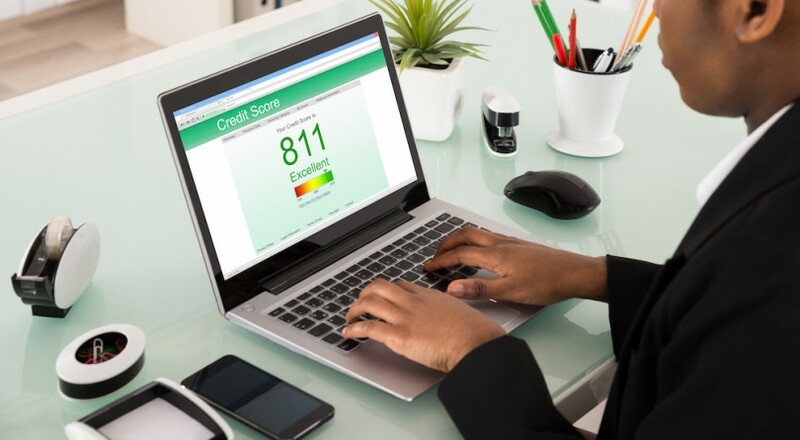 Google “credit score” or “credit report” and you are inundated with services allowing you to receive free monthly updates, complete with charts to show whether your score is up or down from the month before. They promise speed. Improve your credit – fast. OK. The trouble is, it’s possible to have too much information sometimes. And people’s understanding of how the credit system works—based on internet forum advice, social media, friends and family—has led people to take all sorts of actions with their borrowing that can lead to trouble. I’ll explore some of these below. First though, you need to understand the credit reporting system in Canada is designed for the banks, by the banks, to help the banks. They are the intended customers, not you. Your credit information is a product that the credit bureaus, like Equifax and TransUnion, sell to the banks and other lenders. You are not a client of the credit bureaus. You are the PRODUCT. Once you accept this, it all becomes clearer. Furthermore, metrics like credit scores and mortgage delinquency rates (which I’ve written about before) tell us very little about the likelihood that somebody will get into trouble with their finances and file an insolvency. I’ve had many homeowners file consumer proposals, or even bankruptcy, whose credit scores were impeccable and who had never missed a mortgage payment. It’s a very Canadian thing, after all, to go to our graves from heart disease and stress before becoming delinquent on our mortgages. It’s also important to remember that the credit score you see might not be the one the bank sees. That’s right. Lenders can (and do) order credit reports that are designed to meet their specific needs. They may overemphasize certain aspects of credit score factors, such as credit utilization or newer credit borrowed, and deemphasize others. They are assessing your creditworthiness (their profitability), and because they pay the credit bureaus, they make the rules. But they’re not doing so to ensure you’ll pay them back so much as to ensure you’ll carry balances and keep making interest payments. That’s how banks make money, folks. So if you pore over your credit score trying to determine how to game it, it may not even help you much. Most people understand that a credit score (the 3-digit “FICO” score) is made up of various factors. These combine to form your score, which is measured differently between credit reporting agencies. Certain factors count more than others. Credit repayment history and credit utilization form the bulk of the score, while the length of your credit history, new credit, and your mix of types of credit you have, form the others. But did you know your own personal and professional stability can be a factor? For instance, whether you’ve moved recently, or move frequently. Likewise, your employment history matters—have you worked at many different places, or held more steady employment? The latter tends to have a higher correlation with credit repayment, so lenders like to factor that in. Now let’s examine some of the ways that chasing a better credit score can cause problems. The terms of the credit vehicle in question are not factored in. The result is that someone who pays the bare minimum on their credit cards, yet is behind on their rent, has a seven-year car loan and is very close to insolvency, could actually have a better credit score than someone with just one credit card who faithfully and prudently pays their balance in full every month. You’d almost think lenders would much rather lend to the former than the latter, and you wouldn’t be wrong. You must use credit to improve your credit score. In fact, it’s better to have multiple sources of credit. The system’s formula can only assess your delinquency risk if you use credit. It’s often suggested that to improve your FICO score, borrowers should maintain a balance on revolving accounts of 30% of their borrowing limit. What that means is if you have a credit card as your only form of debt, it is actually better to carry a balance to improve your credit score. In fact, you can even lower the utilization factor of the score (thus improving the score) by increasing a given credit limit. Perhaps remarkably, income does not factor into it. So theoretically, someone making $100,000 a year who has three credit cards with a $20,000 limit on each and a $6,000 outstanding balance may have a better credit score than someone with only a $1,200 balance on a single $2,000 limit credit card who earns the same income. The system tends to reward you for having multiple debts. For instance, if you have only a single credit card because you spent a couple of years paying off other debts, your credit score is likely worse than if you have a credit card (with a balance, naturally), a leased vehicle, and a mortgage. The credit score rewards indebtedness, because it is a product for the banks. Holding to the magical 30% utilization rate may help your score, but it means you pay a lot more interest over time. Having a broader mix of credit may help your score, but it means you end up indebted for longer, and pay more interest over time. Bumping up your credit limit may help your score, but it means you’ll inevitably end up with more debt and again paying more over time. Well, you get the pattern by now. All of the above helps the banks, and their earnings, but at your expense. And yet Canadians continue to obsess about their credit scores and how to raise them. In other words, a focused effort to optimize one’s credit score could actually be a very poor way to organize your financial life. You could end up sitting in my office with a shiny 792 credit score.